This week, Matt welcomes Bunny Buxom, a burlesque producer, performer, singer, and activist hailing from Queens, NY. 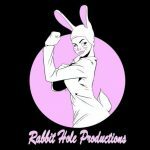 Producer of many shows in the NYC area including Talons and Tease, Resistance, and Rabbit Hole Presents, Bunny chats about her earliest memories involving the pursuit of burlesque and her transition into making it a full-time career. She describes the origins of Rabbit Hole Productions and explains how important it was for her to create a space that promoted feminism, body positivity, and equality. She also chats about how she got involved with The Pink Room Burlesque and her upcoming wrestling-inspired show on July 7th, called TasselMania. And so, from those stories to the special tale of what it’s like being upstaged by her sphinx cat Rodger, here’s presenting Matt Storm and Bunny Buxom.